Accidents can be prevented just by practicing a little extra caution. But when they do happen, things can get so hectic and go by so fast that you’ll probably have a hard time thinking straight. In such a stressful situation, a million thoughts can go through your mind and cause you to act irrationally. But these helpful tips to prepare for an accident, as well as the steps you should follow if you’re involved in one, could prove to be extremely useful if an accident were ever to occur. You should never expect the worse, but you should have a plan in place since one never knows when an accident might occur. Obviously you need to have your insurance information, warranty info (sometimes breakdowns are the catalyst for an accident), vehicle registration, and license with you, but it’s also a good idea to have an emergency kit in your car. Safety should be your number one priority when an accident happens. So before you do anything else, make sure that everyone is okay. Check with each and every person involved in the collision, passengers included. If someone is hurt, don’t hesitate to call 911 immediately. If somebody seems unresponsive, groggy, or unsure if they’re okay, call 911 anyway. A lot of injuries can be internal, so it’s always better to be safe than sorry. If it’s apparent that everyone is okay, you and/or your passengers should relocate to the sidewalk or shoulder of the road as soon as possible to avoid any danger to yourself or interruption of traffic/workers. If the damage to your car is minor and the accident is straightforward, it’s perfectly acceptable to move the vehicle to the shoulder. But if there are any injuries involved or you have any questions about the safety of driving the car, leave it where it is- even if it’s blocking traffic. Whether you decide to move your car or not, turn on your hazard lights, lay out orange cones or reflective triangles (if you have them), and do whatever you can to increase visibility of the situation to other drivers. The last thing you want is to do is cause another accident. If there is no shoulder or sidewalk, do your best to stay away from the flow of traffic. Whether or not the accident is your fault, you might feel the urge to get angry or upset with the other driver. But we suggest keeping it cool. Tensions are already running pretty high and playing the blame game will only make dealing with this much harder. Besides, getting angry will give you tunnel vision and make it harder to think at a time when you need to be as aware as possible. Remember, you still need to exchange information, file a report with police, document the damage to your vehicle, and contact your insurance. The situation is the same if the accident was your fault. Even if they start yelling at you, try to keep focused on the business at hand, and try to be as polite as possible. It’s best to get the police involved to provide an unbiased witness, even if it is only a minor accident. When they arrive, you’ll then need to fill out an accident report or your local law enforcement may already be doing so but you need to provide information on the place and time of the accident, the other driver’s information, and an explanation of injuries and property damage. 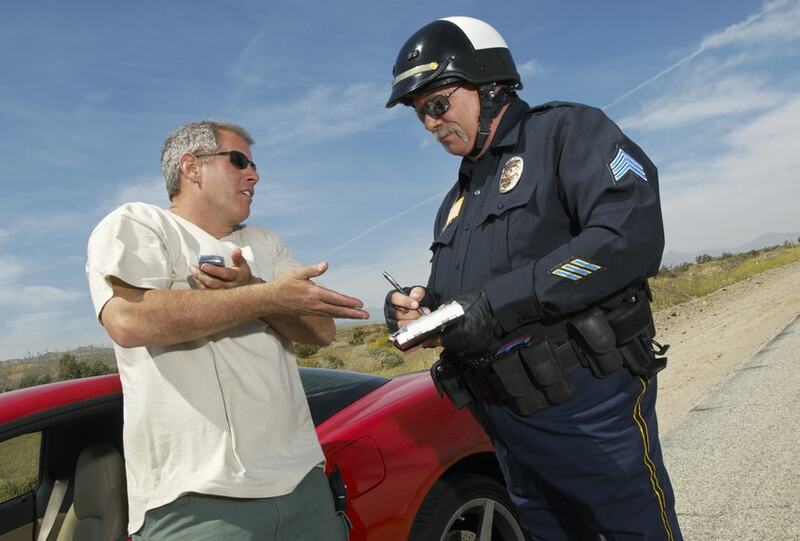 The type of report you file when the officers arrive can vary from state to state, but you can see what may or may not be different for your area by using the DMV.org Accident Guide. Make sure to ask the police for a copy of the accident report, as it may take up to a couple of days before it is filed. The officer’s opinion of the accident will be useful if the drivers have a dispute about who was to blame. The police report will also have the officer’s information on it in case the officer is needed to testify. If you can’t get a copy of the report, at least get the officer’s name, badge number, phone number, and the police report number. Don’t ever leave the scene before an officer arrives either. Leaving the scene before exchanging information and reporting it to law enforcement is considered a misdemeanor offense in some jurisdictions. Now, there may be some cases, like minor fender benders, where neither party will want to contact the police, but there are still some benefits to filing a report. Because of the situation at hand, many drivers who have been in collisions are in a state of shock that they do not immediately notice or feel injuries. If you develop symptoms of an injury later on, it will be much easier to seek compensation through your insurance. Additionally, police reports strengthen your case in insurance claims because they represent an unbiased, third-party account of the incident. 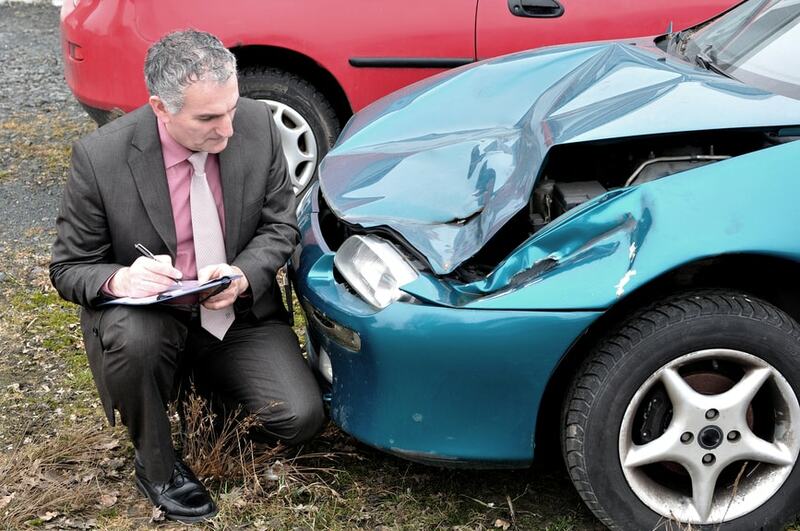 Lastly, you might think that your car is relatively undamaged when you inspect it on the spot, but if you discover that your car really is damaged later on, a police report makes it a lot easier to make an insurance claim. While you’re waiting for the police to arrive, it’s imperative that you get the other driver’s insurance and personal information. At minimum, make sure you write down the following items: name, address, phone number, make and model of their car, license plate number, insurance carrier, and insurance policy number. Be careful about the information you hand out. 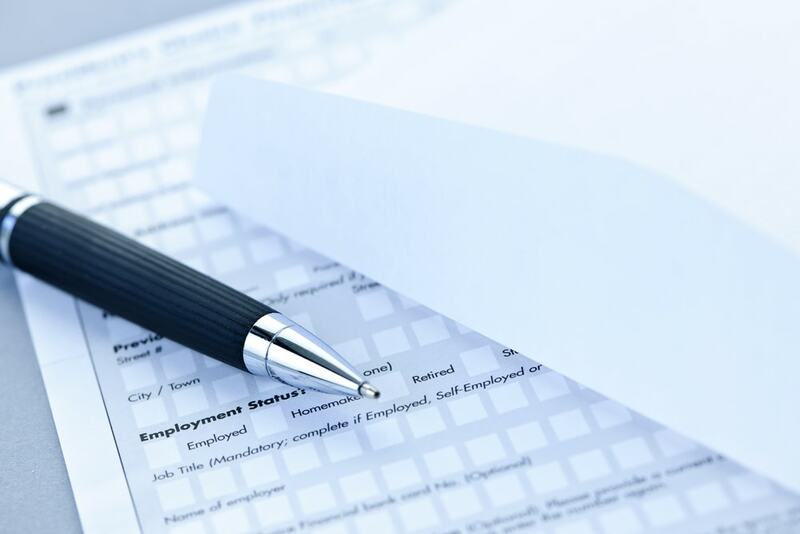 Never give out your social security number (don’t even mention the subject), and never sign a document unless it’s for the police or your insurance agent. 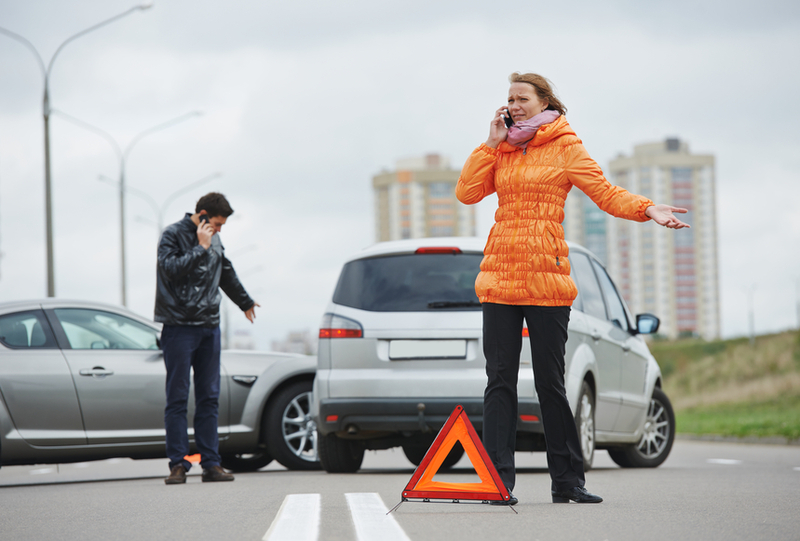 To protect yourself, it’s important that you do not outright admit that the accident was your fault. Even if the accident was your fault, and no matter how emotional you feel, admitting guilt or apologizing can make things a lot more difficult for you down the line. When you talk to the other driver, keep it down to business. Only state facts and limit your discussion about the accident as much as possible. Let the police and insurance companies determine fault or aside from a police citation it might not even be relevant if you live in a “no fault” state. You might feel really bad now, but you’ll feel even worse if your insurance premiums go up or if you are taken to court. So keep your thoughts to yourself, aside from the information needed. In the moment, you might think that there’s no way you’ll forget what just happened. But you would be surprised by how many details a person can forget after such a jarring event. To be safe, take photos of the accident scene, the damage to your vehicle, the damage to other driver’s vehicle, any injuries that may have occurred, and the surrounding area. You can easily do all of this with your smartphone. When in doubt, take more pictures. Once you have all the photos you need, take a moment to write down exactly what happened. Describe the scenario in as much detail as possible, and include the moments leading up to the accident. The sooner you note what happened, the easier it will be to give your account to the police and your insurance claims adjuster after that. Not all insurance or warranty agencies have 24/7 roadside assistance, but if you have checked with yours and they do, this should be one of your first calls as soon as you are finished with the police and/or towing process. Your agency will help walk you through the next steps regarding your vehicle and will take care of any necessary work on their end. If you experienced a vehicle breakdown prior to the accident, contact whoever’s in charge of your vehicle’s warranty as well. 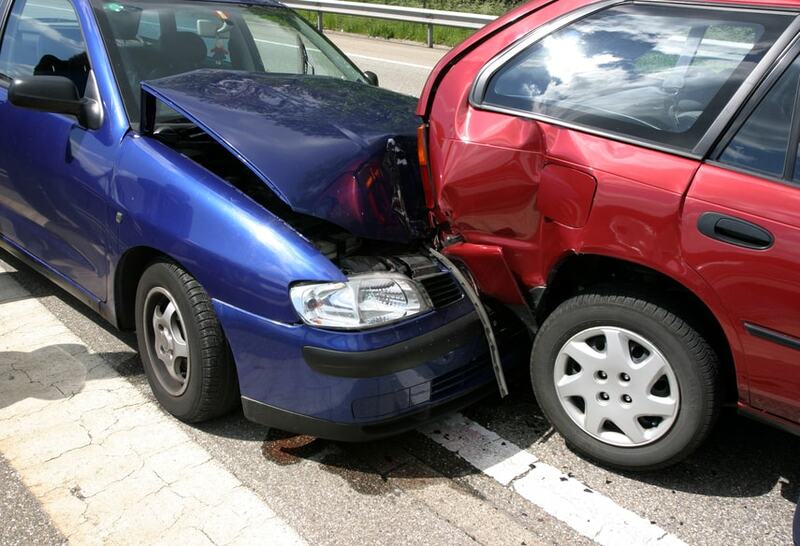 Even if you feel okay after the accident, you should take the risk of injury seriously. You might feel fine in the beginning, but there are a number of injuries commonly associated with car accidents that don’t show symptoms immediately. Your adrenaline can easily hide the fact that you’re hurt, so be sure to keep an eye out for any pain or stiffness as time passes. As soon as you start to experience any combination of those symptoms, get yourself checked out. If you’re not entirely sure, again, it’s always better to be safe than sorry, especially with injuries that involve the spine or neck. Every time we go on the road we are taking a risk. And while it’s true that no one can know for certain what they would do in such a situation, having a general plan for accidents will always help. There is no such thing as perfect preventative measures but even knowing the inconvenience and cost of an accident should be incentive for you to drive safer. So even if you are prepared for what happens after a car accident, you should prepare yourself to be better at avoiding them.